Go to your Settings (by clicking the menu button next to your username), and then click the Tipping tab. 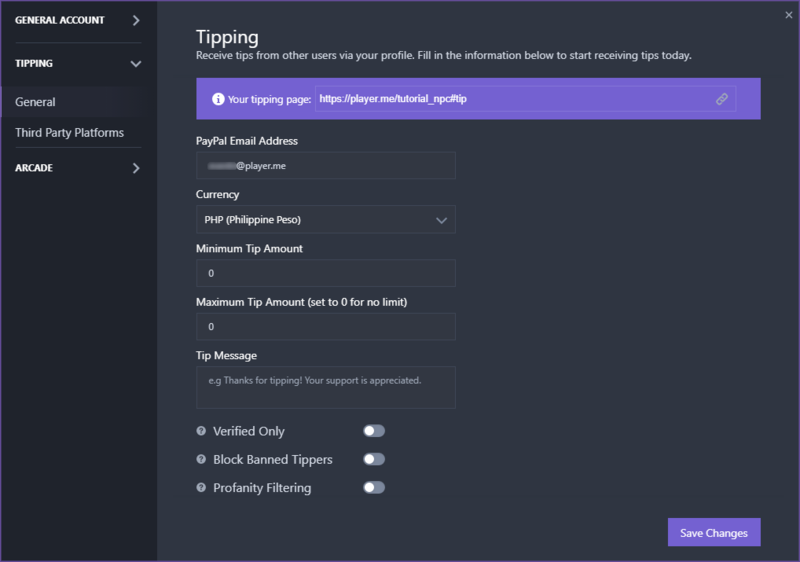 The General tab allows you to set details such as PayPal Email Address, Currency, Min/Max Tip Amount, Tip Message, Verified Only, Block Banned Tippers, and Profanity Filtering. It is also here where you can get your tipping page URL. You can give this link to your viewers or add it on your stream page. The Third Party Platforms tab allows you to link other platforms to show the tip alerts when using our overlays.